2 Great wall of China China Although it has been proven a myth as you may have read in our article 25 Popular Myths Debunked, for many years people believed the Great Wall was the only man made structure visible from space. It is easy to see why as it winds up and down across deserts, grasslands, mountains and plateaus, stretching approximately 8,851.8 kilometers. 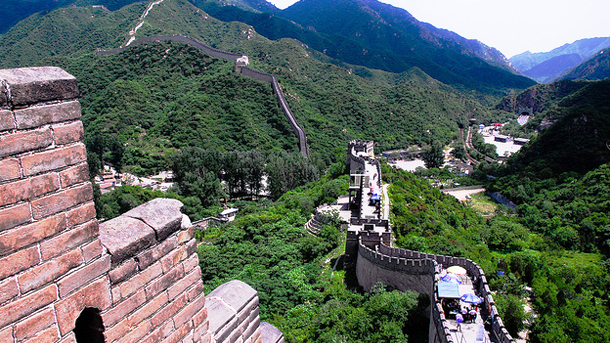 The Great Wall occupies a significant place in Chinese culture. It has long been incorporated into Chinese mythology and symbolism, and is one of the most attractive tourist destinations in the world. 3 Petra Jordan Petra, the world wonder, is without a doubt Jordan’s most valuable treasure and greatest tourist attraction. It is a vast, unique city, carved into the sheer rock face by the Nabataeans, an industrious Arab people who settled here more than 2000 years ago. The entrance to the city is through the Siq, a narrow gorge, over 1km in length. 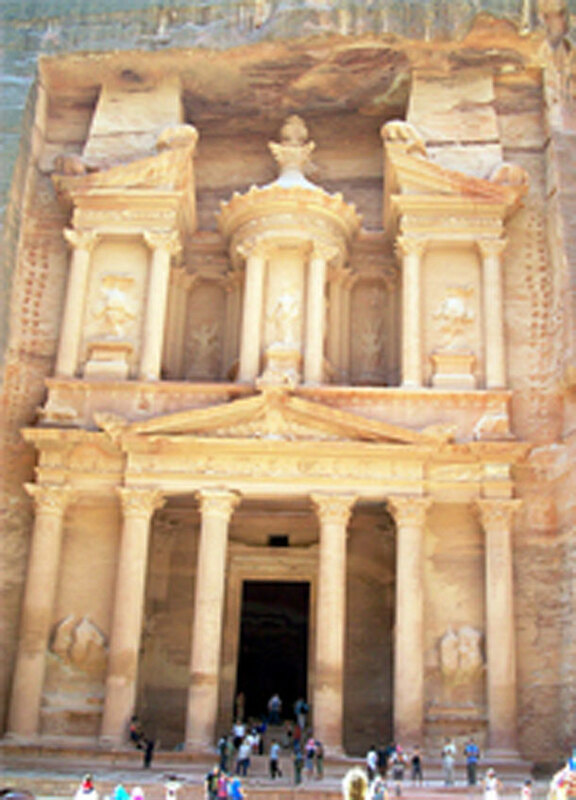 Petra has been featured in famous movies like “Indiana Jones and the Last Crusade” in 1989 and the “Transformers: The revenge of the fallen” in 2009. 4 Christ the Redeemer Brazil Christ the Redeemer is a statue of Jesus Christ in Rio de Janeiro, Brazil. A symbol of Brazilian hospitality, the statue has become an icon for Rio de Janeiro and Brazil. 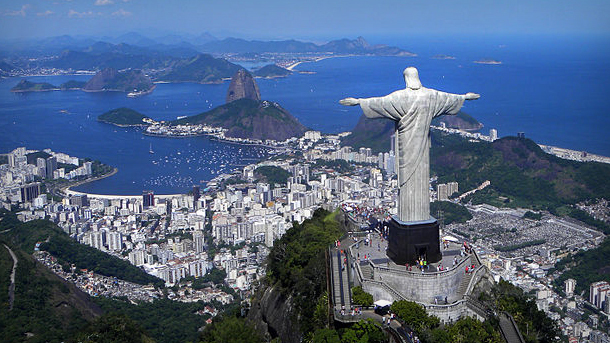 It is considered the largest Art Deco statue in the world and the 5th largest statue of Jesus in the world. It is 39.6 metres (130 ft) tall and 30 metres (98 ft) wide. 5 Machu Picchu Peru Machu Picchu, often referred to as the “Lost City of the Incas”, is perhaps the most familiar icon of the Inca World. It is situated on a mountain ridge above the Urubamba Valley in Peru. 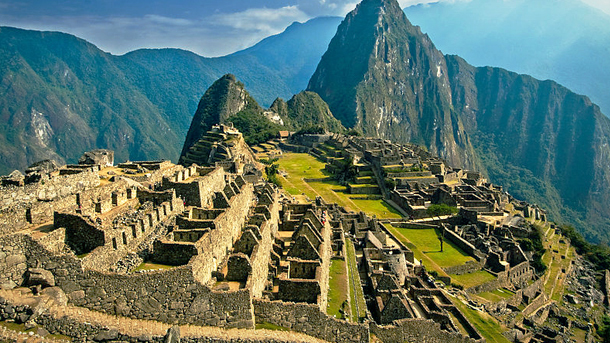 Machu Picchu was built in the classical Inca style, with polished dry-stone walls. Tours to the internationally recognized archaeological site of Machu Picchu provide visitors with incredible insight into the lives and practices of the ancient Incan civilization. 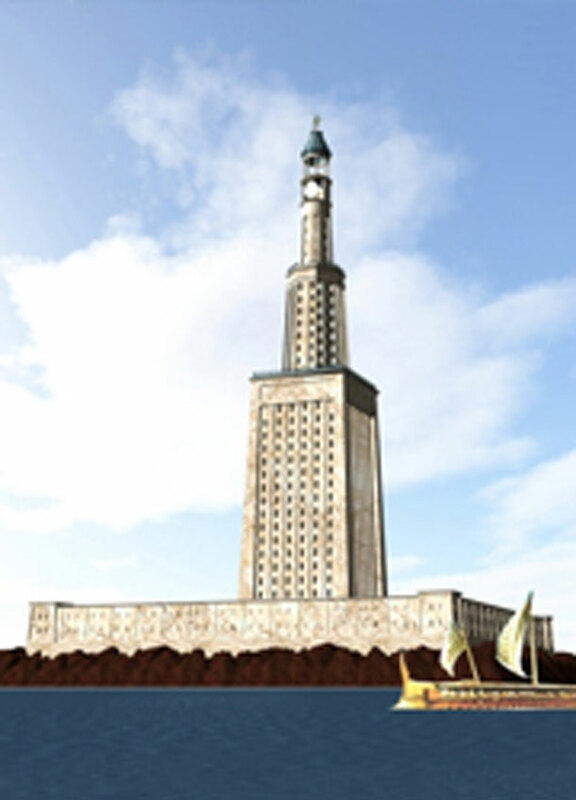 6 The Lighthouse of Alexandria Egypt This wonder of the ancient World was located in the island of Pharos just off the coast of the city of Alexandria in Egypt. The Lighthouse of Alexandria was active for 15 centuries and it was the last of the six lost wonders of the ancient world to disappear. 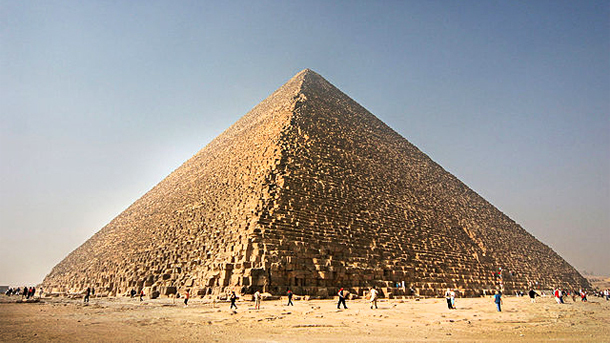 With a height estimated to be somewhere between 393 and 450 ft (120 and 140 m), it was for many centuries among the tallest man made structures on Earth. 7 Forbidden City China Lying at the center of Beijing, the Forbidden City, called Gu Gong in Chinese, was the imperial palace for twenty-four emperors during the Ming and Qing dynasties. The Forbidden City got its name because it was forbidden to enter without the special permission of the emperor. Nowadays, it is open to tourists from home and abroad. 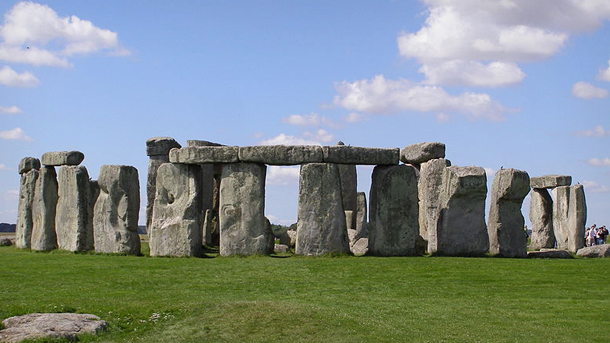 8 Stonehenge England Stonehenge is located in the English county of Wiltshire, United Kingdom. It is surely Britain’s greatest national icons, symbolizing mystery, power and endurance. Its original purpose is unclear to us, but some have speculated that it was a temple made for the worship of ancient earth deities. Stonehenge is composed of a circular setting of large standing stones set within earthworks.